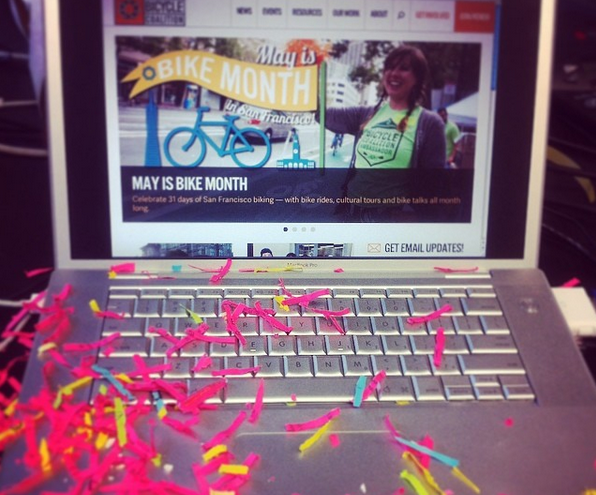 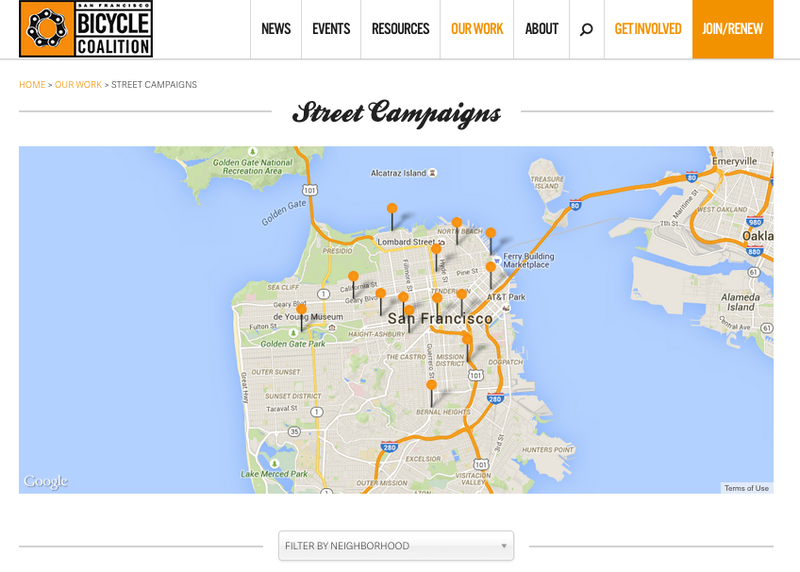 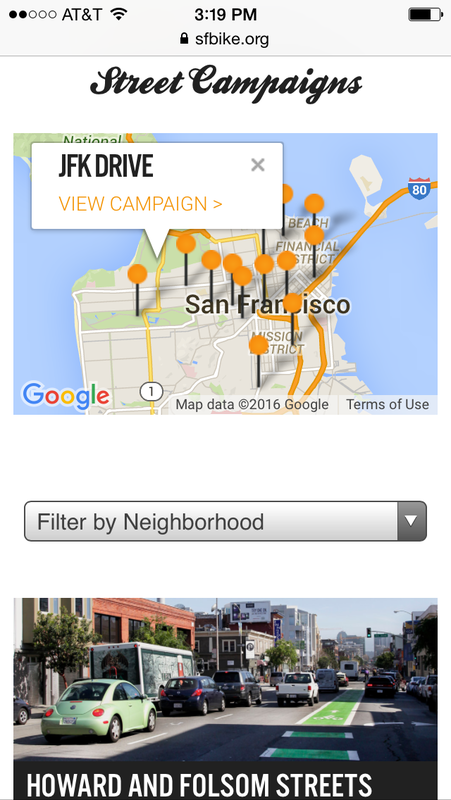 In 2014, we launched the redesigned SF Bicycle Coalition website. 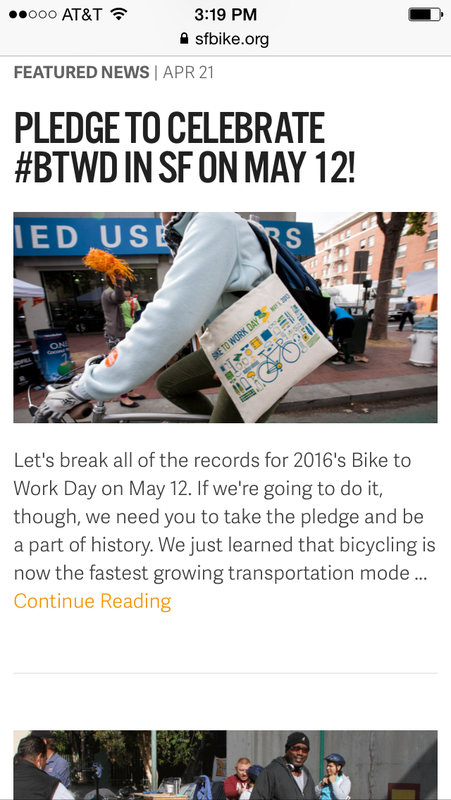 It had been over 10 years since the site had been updated. 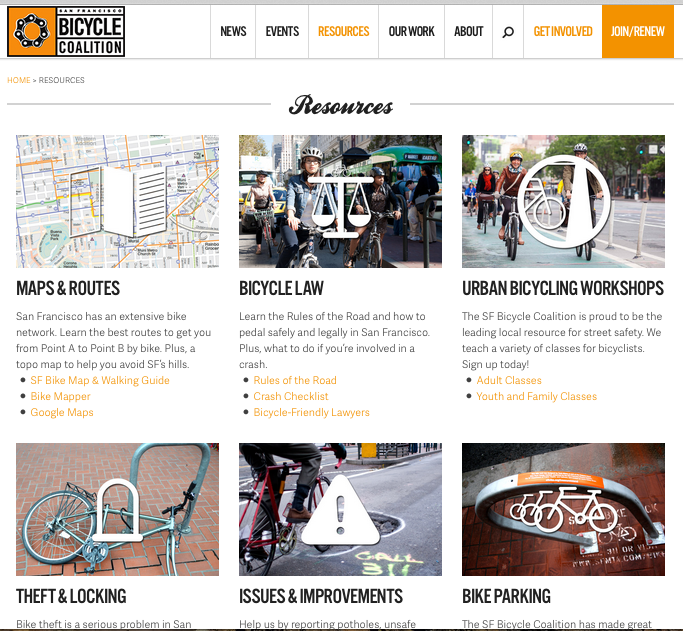 We used WordPress for an easy-to-use content management system and used mobile responsive design for viewing the website on mobile phones and tablets.The redesign was focused on helping users get to the content they were looking for, providing simple navigation and building custom pages like the Street Campaigns page using Google maps. 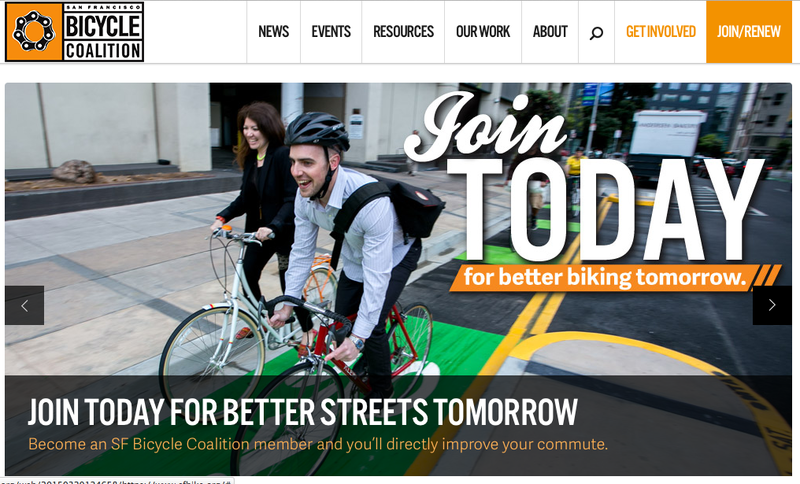 The website won a 2014 WebAward for Outstanding Achievement in Non-Profit Standard of Excellence from the Web Marketing Association.